Less than 20 years ago, the green card renewal fee was only $75. In just a few years, the cost has risen to $365 plus the $85 biometrics fee. That’s almost five times the cost! Critics argue that the USCIS user fee-based system places disproportionate hardship on immigrants. For example, it can cost a family of four $1800 to renew their green cards (filing fees plus biometrics). There is no discount for additional family members. Permanent residents (18 years and older) are required to carry a valid green card by law. But many are choosing not to renew green cards or replace lost/stolen cards because of the high cost. This creates a difficult dilemma for job seekers. Someone with no job and an expired green card must find a way to renew the green card in order to provide proof of employment authorization. What’s more, the process can easily take more than three months to receive the new card. 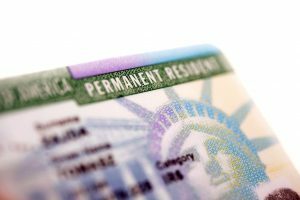 If the green card renewal fee continues to climb at its current pace, it will be increasingly difficult for permanent residents to stay compliant with law and maintain the necessary identification for foreign travel and employment. What’s more, the application to renew a green card recently became more difficult. Form I-90, Application to Replace Permanent Resident Card, grew from four pages to eight pages. The most recent version of the application has additional questions that add to its complexity. As such, many permanent residents are forced to look for assistance when preparing the form to ensure its accuracy and avoid processing delays. 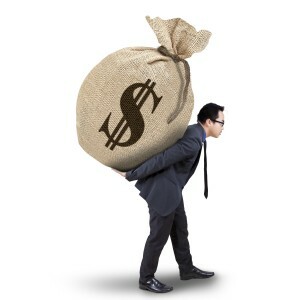 Charging fees for immigration services is a well-established practice in the U.S. government. In fact, immigrants have had to pay inspections or admissions fees for entry since at least since 1903. These “user fees” have helped the government recover the cost of providing these services. However, the green card renewal fee is rising at an alarming rate. Note: Fees above do not include biometrics fee. Between 1994 and 2010, no more than four years has passed between each fee increase until now. It has been six years since the 2010 green card renewal fee increase. Is another fee increase coming soon? Inflation in the economy can certainly explain some of the fee increase. Over time, the price of labor, goods, and services generally creep up. But over the last 10 years, inflation has averaged near 2%. USCIS inefficiencies contribute to this cost increase. While the private sector finds ways to become more efficient at processing transactions, there is no real need to be competitive in the government sector. USCIS has a monopoly with no competitors. If there were alternative means to immigrate to the U.S., the USCIS bureaucracy would fail. There is no incentive for USCIS to reel in costs. But USCIS is not entirely to blame. Congress, which pays billions of dollars each year to fund the immigration enforcement system (ICE), provides little in the way of funding for USCIS daily operations. Although Congress does appropriate monies to USCIS, it is generally for projects such as the over budget and ineffective ELIS system. Congress is not budgeting money to help green card holders stay current or even appropriate funds for green card holders to become U.S. citizens. Under current regulations, applicants may receive a fee waiver if they can demonstrate an inability to pay. Generally, the applicant must prove a financial hardship to receive the green card renewal fee waiver. 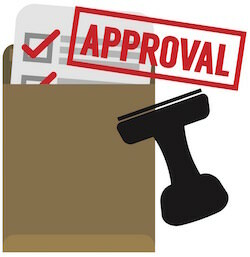 Those interested in a green card renewal fee waiver should review the fee waiver guidance on the USCIS website and file Form 912, Request for Fee Waiver, along with the Form I-90, Application to Replace Permanent Resident Card. Applicants that meet these requirements and file the correct information have an excellent chance of receiving an approval. USCIS representatives testified at a 2007 congressional hearing that 85% of fee waiver applicants (for all form types) were granted a waiver. At one time USCIS attempted to remove the green card renewal fee waiver. As a part of the 2007 fee schedule, fee waivers were to be removed for several services applications and petitions. USCIS justified the change on the basis that an inability to pay would invoke the Immigration and Nationality Act’s (INA) §212(a)(4) clause which states that an alien who is likely to become a public charge is inadmissible, and as such would be ineligible for the service. 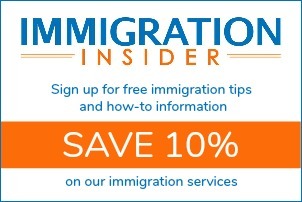 However, USCIS had previously stated in a field guidance memo for fee waiver petitions for Form I-485 that: “The granting of a fee waiver does not necessarily subject the applicant or petitioner to a public charge liability under other provisions of the INA, such as deportability under §237(a)(5) or inadmissibility under §212(a)(4).” In the end, USCIS withdrew its provision for removing fee waivers. One way to beat these fees is to avoid them altogether. By naturalizing as a U.S. citizen, permanent residents can avoid future green card renewal fees. The costs of renewing a green card over a life time can be staggering. Permanent residents that naturalize as U.S. citizens will never have to pay a USCIS fee again. Use the Citizenship Cost Calculator to see the costs of green card renewal fees over a life time compared to the cost of becoming a U.S. citizen. CitizenPath recently published a free guide for permanent residents that want to become U.S. citizens through the naturalization process. The free guide includes 44 pages of tips and valuable information about the naturalization process. It even includes 100 sample test questions and a necessary vocabulary list. Although no one can know what happens next, one thing seems certain — USCIS will continue to increase the green card renewal fee. CitizenPath is the online service that makes immigration forms simple. The website provides simple, step-by-step guidance through USCIS applications and petitions. The low-cost service helps to simplify the process by explaining each question and providing alerts if your answer to a question could be a problem. Most people do not need a lawyer to prepare USCIS forms, but many need a little assistance. That’s where CitizenPath can help. CitizenPath provides support for the Citizenship Application (Form N-400), Green Card Renewal (Form I-90), and several other popular forms.